HORSHAM, PA, September 22, 2017 – Janssen Biotech, Inc. (Janssen) announced today that it has received a complete response letter from the U.S. Food and Drug Administration (FDA) for the Biologics License Application (BLA) seeking approval of sirukumab for the treatment of moderately to severely active rheumatoid arthritis (RA). The complete response letter indicates additional clinical data are needed to further evaluate the safety of sirukumab in the treatment of moderately to severely active RA. On August 2, 2017, the FDA’s Arthritis Advisory Committee did not recommend approval of sirukumab for RA. Convened upon the request of the FDA, the committee reviews and evaluates safety and efficacy data of human products for use in the treatment of arthritis. The committee provides non-binding recommendations based on its evaluation; however, the FDA makes the final decision on approval of the drug. The sirukumab BLA, filed on September 23, 2016, included data from a global Phase 3 clinical development program inclusive of five studies and approximately 3,100 RA patients, including those who continued to have active disease despite previous use of disease-modifying anti-rheumatic drugs (DMARDs) and biologic treatments. Sirukumab is a fully human monoclonal IgG1 kappa antibody that selectively blocks circulating IL-6, a naturally occurring protein that is believed to play a role in autoimmune conditions like RA. It is not yet approved as a treatment for rheumatoid arthritis or for any other indication anywhere in the world. Sirukumab targets the IL-6 cytokine in the treatment of RA. Sirukumab is currently under review by health authorities in Europe and Japan as a subcutaneous therapy for the treatment of adult patients with moderately to severely active RA. Janssen holds exclusive rights to commercialize sirukumab in Europe, the Middle East, Africa and Asia Pacific, and will regain exclusive, worldwide commercial rights in November 2017 from GSK. This press release contains "forward-looking statements" as defined in the Private Securities Litigation Reform Act of 1995 regarding product development. The reader is cautioned not to rely on these forward-looking statements. These statements are based on current expectations of future events. If underlying assumptions prove inaccurate or known or unknown risks or uncertainties materialize, actual results could vary materially from the expectations and projections of Janssen Biotech, Inc., Janssen Research & Development, LLC and/or Johnson & Johnson. 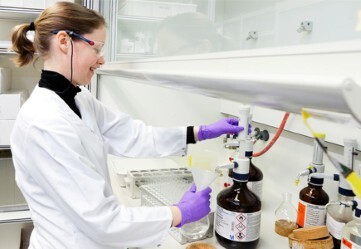 Risks and uncertainties include, but are not limited to: challenges and uncertainties inherent in product research and development, including the uncertainty of clinical success and of obtaining regulatory approvals; the uncertainty of commercial success; competition, including technological advances, new products and patents attained by competitors; challenges to patents; product efficacy or safety concerns resulting in product recalls or regulatory action; changes in behavior and spending patterns of purchasers of health care products and services; changes to applicable laws and regulations, including global health care reforms; and trends toward health care cost containment. A further list and descriptions of these risks, uncertainties and other factors can be found in Johnson & Johnson's Annual Report on Form 10-K for the fiscal year ended January 1, 2017, including under “Item 1A. Risk Factors,” it’s most recently filed Quarterly Report on Form 10-Q, including in the section captioned “Cautionary Note Regarding Forward-Looking Statements,” and in the company's subsequent filings with the Securities and Exchange Commission. Copies of these filings are available online at www.sec.gov, www.jnj.com or on request from Johnson & Johnson. Neither the Janssen Pharmaceutical Companies or Johnson & Johnson undertakes to update any forward-looking statement as a result of new information or future events or developments. Centers for Disease Control and Prevention. “Rheumatoid Arthritis.” Available at: http://www.cdc.gov/arthritis/basics/rheumatoid.htm. Accessed June 30, 2017. 2 Arthritis Foundation. “What is Rheumatoid Arthritis?” Available at: http://www.arthritis.org/about-arthritis/types/rheumatoid-arthritis/what-is-rheumatoid-arthritis.php. Accessed June 30, 2017.